Consider yourself an audiophile? Can sing along to all song from the radio? Do you visit gigs more often than your relatives? The style and genre don't matter if a song is amazing. Your tastes can change but what remains the same is your passionate love for music. Quite often we lack something new to listen to, and what we usually do is we open Spotify or Apple Music or that, search, and here they are... new sounds in our life. Pure happiness. However, not always pure. What we usually hear is compressed audio which regarding the quality is far far away from the original recording. I'm certain you've thought lots of times that your favorite track either lack bass or have too many sound artifacts, and in general, can sound better. It's not that vital what hardware you speakers you have as what music player you tend to use. And it's more likely to be the latter that can make your music sound clearer and better. Providing you listen to Hi-Res music with a good music player, your favorite songs can achieve a new level of sound, and you'll feel them like never before. All music formats can be divided into two groups: compressed and uncompressed. Compressed can also fall into lossy and lossless. It's not that some are certainly better and some are certainly worse. All of them have some pros and cons. Let's take a closer look. Lossy stand for a sort of compression when some digital information is thrown away during the compression process to make the file's size smaller. That's' why MP3s are on average around 5 MB. But if you have poor-quality headphones, you won't be able to hear the difference. Lossless compression is a method of processing that only reduces files size, and audio data is lost, so the sound quality of the original file remains high. The main flaw is that this form of compression reduces the file size, but they are still relatively big (song can be about 50-70 MB). For these reasons, uncompressed and lossless files are often referred to as Hi-Res (High-Resolution), since they sound best. Most music players can't play Hi-Res formats, since they're not so popular as MP3, for instance. Today, I'll try to convince you that the quality of music is so important it can't be neglected, and will also tell you about a great music player for Mac & iPhone that can become your favorite new music app. By the way, if you just thought you could just convert, for instance, FLAC to MP3 I have some bad news for you. Conversion isn't just changing the formats name from .mp3 to .flac is a complex compression process. More on why converting FLAC to MP3 is wrong. VOX Music Player for Mac & iPhone is a simple and powerful app that supports Hi-Res formats, as well as lossy one. The player's developers aim to change the understanding of music in the world. VOX for iPad, Windows, and Android is being developed. Radio section includes 30,000 radios from all over the world. SoundCloud section lets you stream songs and add them to your playlists from the biggest storage of unique music. Should you have Spotify Premium, you can also mix all your favorite tracks from different places to make a perfect playlist. It's a great solution if you are fed up with switching between the apps. The EQ has lots of cross-genre presets, but whenever you feel like creating something personal, you can make a sound set that fully accords with your music preferences. All things said, VOX is the best Hi-Res Music Player for Mac & iPhone. I've already said, that Hi-Res files, being uncompressed, usually take up too much disc space. Fortunately, VOX developers have created a music cloud for storing all your music collection. 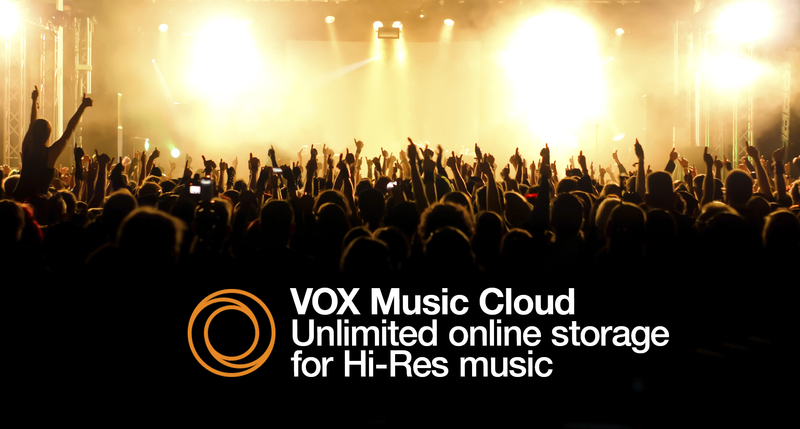 VOX Cloud is an unlimited music cloud that stores your music making it possible to access it anytime, anywhere. No more external HDDs or NAS devices. No more Mac cleaning – VOX Cloud can store everything. It has no restriction concerning file format, size or bit rate. VOX uses internet data to stream from VOX Cloud (unless you're connected to Wi-Fi), but no song is converted or compressed. You listen to exactly what you've uploaded. 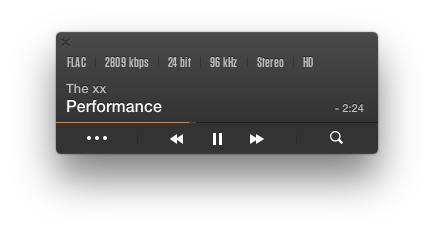 SoundCloud, for example, turns whatever you upload to MP3 at 128 kbps. VOX Cloud syncs your Mac and iPhone, so you can listen to everything you have in VOX Premium account on both devices. You have some Hi-Res music on your Mac, but how to listen to it on iPhone? What you have to do is upload the album to VOX Premium on Mac, and it will instantly appear in VOX for iPhone, and what's important, the quality will remain original. Plus, you can cache some albums or songs to listen to them offline. VOX Cloud is exclusively available for VOX users. 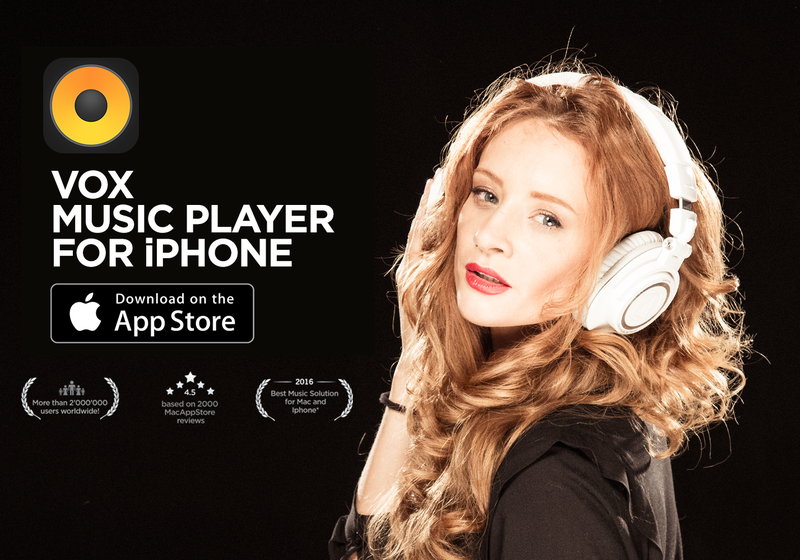 It's a perfect Hi-Res music player designed for everyone who values quality and functionality. Let’s summarize. What is about Hi-Res Music Player? The world has finally come to a point where quality overtook quantity. Hi-Res formats are everywhere, they are promoted as a new standard of music and what we need, is a decent player capable of playing all of them. VOX Music Player for Mac & iPhone is a Hi-Res music player that combines all the best features to take our music experience to an entirely new level. It plays most audio formats, gives the highest sound quality, scrobbles to Last.fm, while VOX Music Cloud stores all the songs you have. VOX Premium makes a perfect solution for music lovers who prefer Hi-Res music.